Born in the region of Lake of Constance, I am quite confidant with the cultural and natural diversity of this region. And I love it. 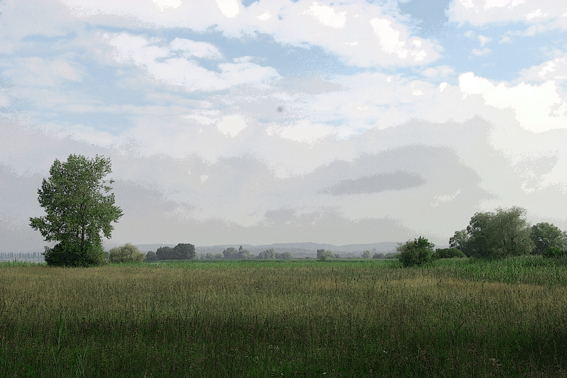 If you are interested in exploring the surrounding landscape, I can offer you half day/day excursions combined with some scetching or plein air painting. 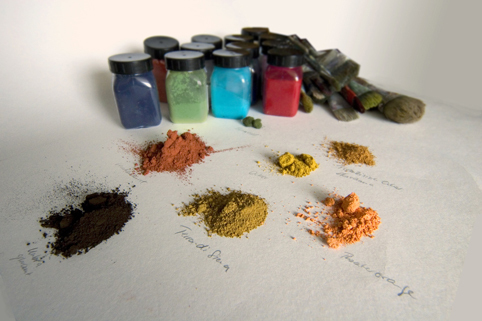 Burnt sienna, indian yellow, terra di pozzuoli, safflower, purple … each pigment and each color has its history which it shapes. Color is formulated step by step and teaches the painter always a lesson. In this course you will learn the use of color in dealing with the raw materials: pigments and binders. The mixing of colors with different mediums leads to very specific results. We will start to work out our own vocabulary and experiment with the color materials. Artistic work on the image of man. “The most entertaining area on earth is the human face.” Georg Christoph Lichtenberg. Portrait art is fascinating. If you paint a portrait, it often shows up in a few strokes, the “landscape” of an individual. “Portraits” comes from the Latin “Protrahere” which said: “We pulled out of the essence”, which actually invisible in an image. Night – The night. A scenic excursion into the other half of the day. Always the ambivalent nature of the night has fascinated people. As far end of the day it is the secret place of security, love and productivity. But also lurking in their depths as darkness and chaos, on the other hand it is also the wondrous space of our dreams, room for imagination and freedom from rationality. Since the invention of the electric light of the specific realm of experience of the night give way to more. Either we slept through the night, or we successfully distribute its darkness and let it become a side-show of the day. For a few years, however, a growing contemporary art interest in the subject. How then will the image of the night in the painting? Is a night picture basically anything other than a Tag picture? Examples from the history of painting night tell us of nocturnal transformed places, things, or people, or maybe just a night verwandeltem view and experience of the fullness of the dark room. This workshop is about the creative potential of the night. We are for example different lighting moods explore picturesque, be inspired by nocturnal subjects of paintings, ideas for paintings such as for a dream “day” develop book.